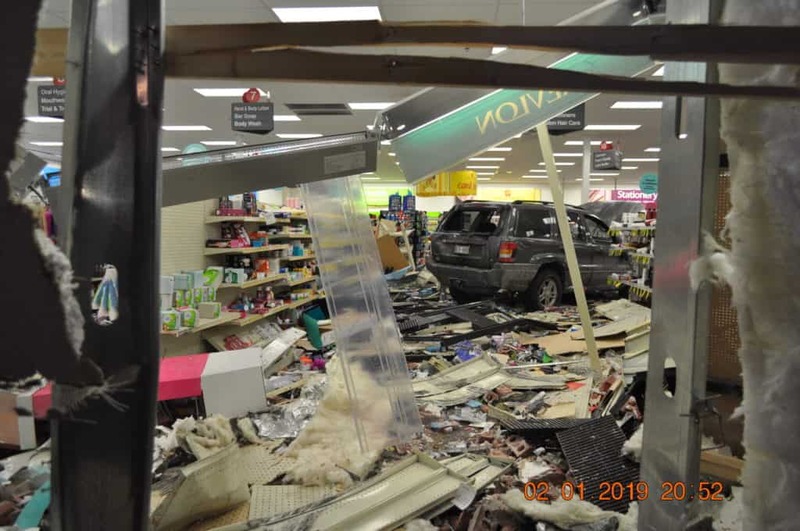 Nina E. Allen, 57, of Zion, was charged after ramming a police car several times and then crashing into a CVS store in Zion on Friday. 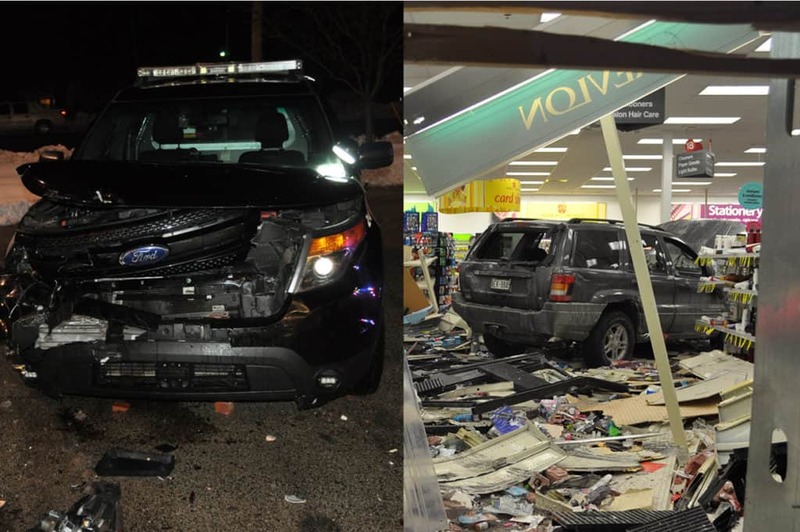 Charges have been filed against the woman accused of ramming a police squad car almost 10 times and crashing her car three times into a CVS store in Zion on Friday. Zion Police Chief Stephen Dumyahn said that officers responded around 6:45 p.m. Friday to a report of a drunk driver weaving in the roadway, crossing the center lines and almost hitting a snowbank on Green Bay Road near Route 173. The 911 caller followed the vehicle, a gray Jeep Cherokee, as it pulled into the CVS parking lot, 4580 Route 173 in Zion. Officers found the vehicle and a police car pulled in behind the parked car while another police car parked near the passenger side of the vehicle. A Zion police car was damaged after a woman rammed the squad car several times and then crashed into the CVS in Zion | Photo: Zion Police Department. Nina E. Allen, 57, of Zion, was in the driver seat. Police asked her to get out of the car several times but instead she started her car and began to rev her engine. “She then backed into the squad car behind her vehicle. Officers quickly moved out of the way to avoid being struck as the driver continued to ram the squad car with her vehicle 8-9 times,” Dumyahn said. Allen then rammed her vehicle three times into the west side of the CVS store after striking the police car. No one inside the store was injured and no one else was in the vehicle besides the woman, police added. Allen was transported by paramedics to Vista East Medical Center in Waukegan with minor injuries. She has since been released back into police custody. Dumyahn added that Allen was scheduled to report to the Kenosha County Jail on Saturday to serve 80 days for a prior offense of operating a motor vehicle while intoxicated. Allen was charged with aggravated driving under the influence, criminal damage to property between $500 and $10,000, aggravated assault of a peace officer and criminal damage to property between $500 and $10,000. 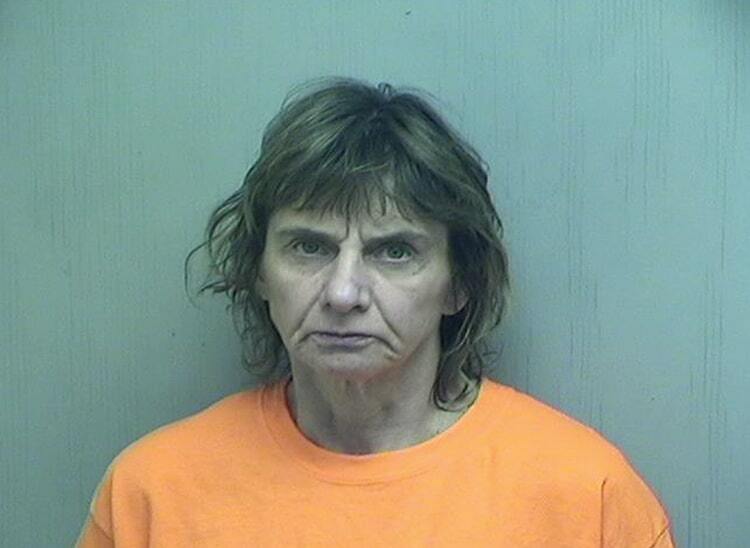 She remains held in the Lake County Jail on a $1 million bond and is scheduled to appear in court again on February 25.